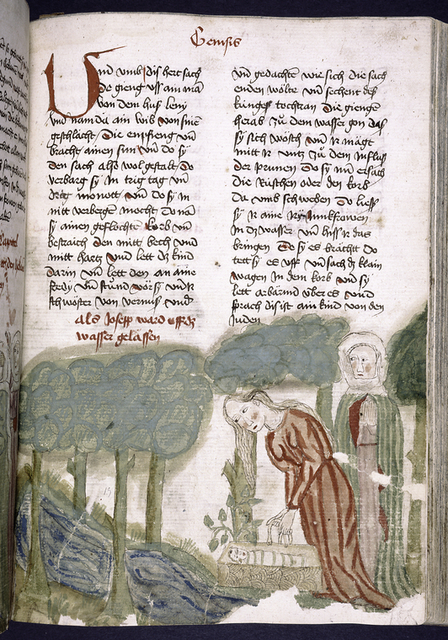 Sham'un, a Companion of the Prophet, heals a man on the bank of a river. 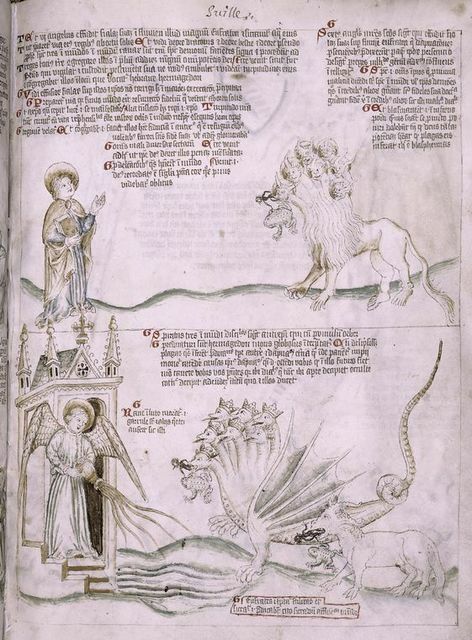 Sixth vision: an angel pours out the sixth vial on the Euphrates and dries the river; with the seventh vial, foul spirits, like frogs, come from the mouths of the dragon, the beast and the false prophet.. 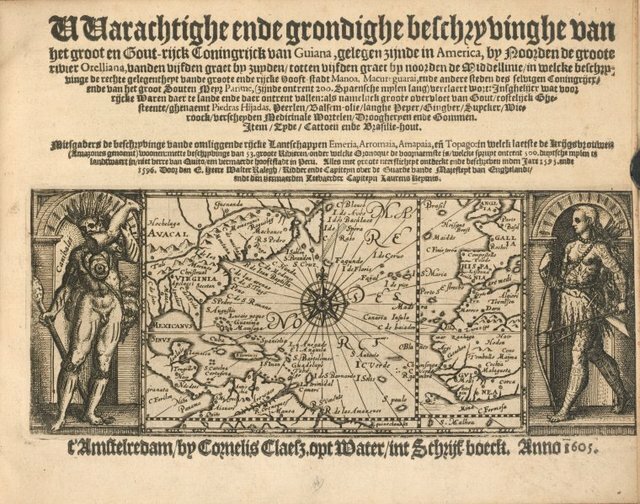 Text with placemarkers, large red initial and rubric. 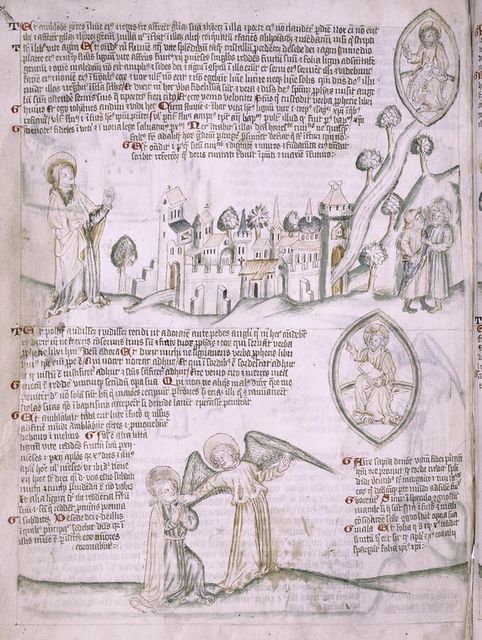 Half-page miniature showing baby Moses in a basket, being placed in the river Nile. 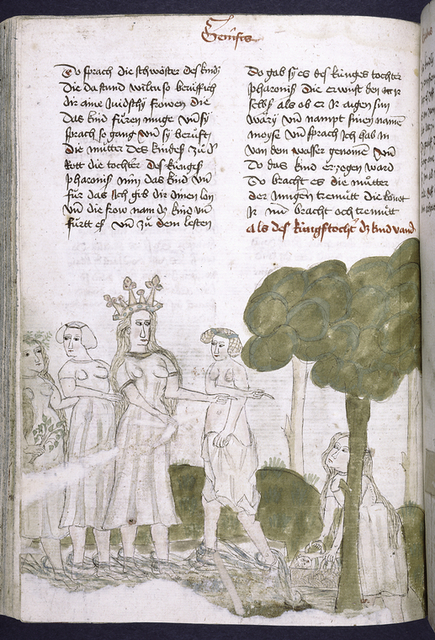 Text with placemarkers and rubric; half-page miniature showing Moses taken from the river. 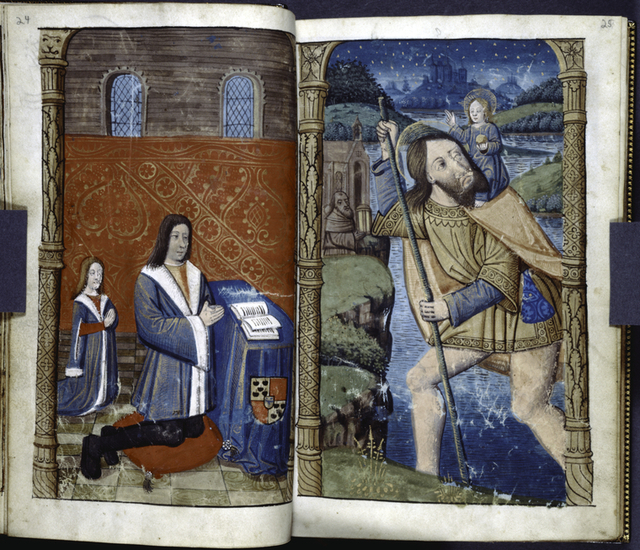 Portrait of praying owners, with coat of arms displayed on the altar cloth; image of the giant St. Christopher carrying the Christ Child across the river. 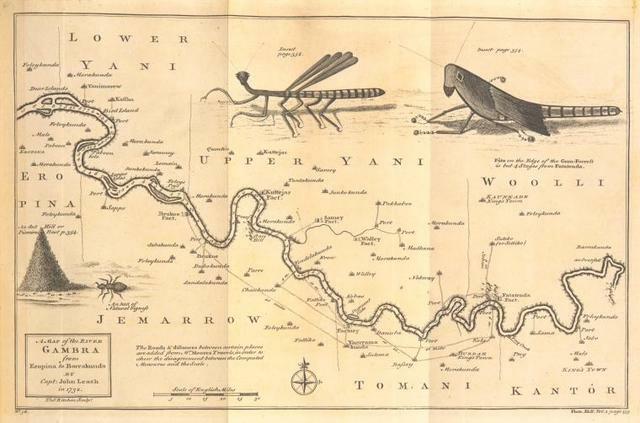 Etow Oh Koam, King of the River Nation. 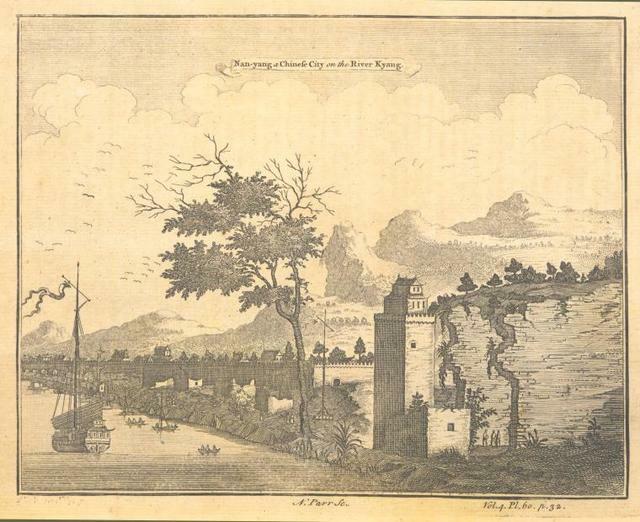 Peruvians throwing ashes of their offerings into the river. 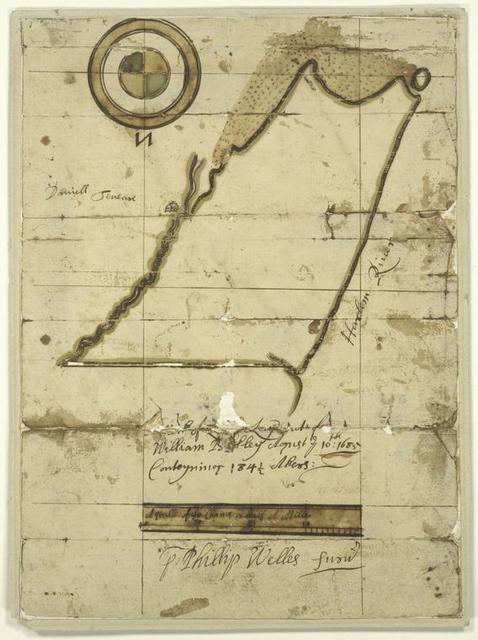 Survey of a "Certain neck of land--lying upon the main, and adjoining upon Harlem River." 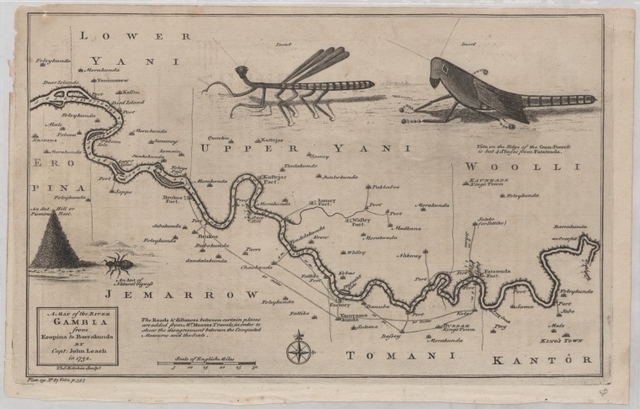 A representation of the fire-works upon the River of Thames, over against Whitehall, at their Majesties coronation Apr. 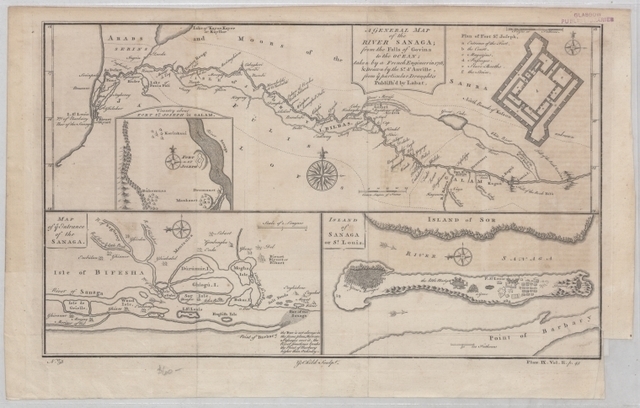 1685.
the Island of Keduyn; the River of Kola in the Great Besteck; the coast of Lapland from the River Kola to ye the Island of Swetnoes. 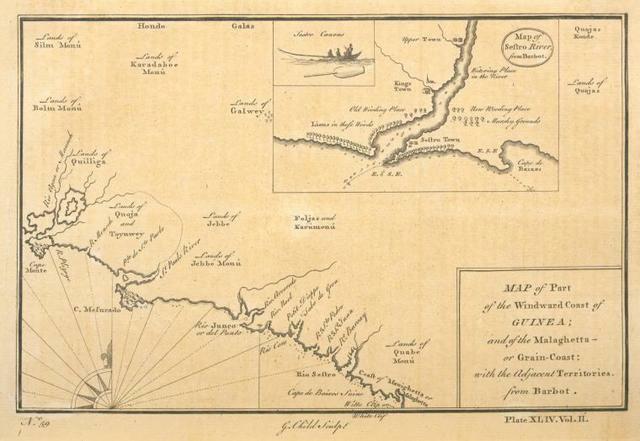 A new mapp of CAROLINA ; A large draught of Ashly and Coopers River. 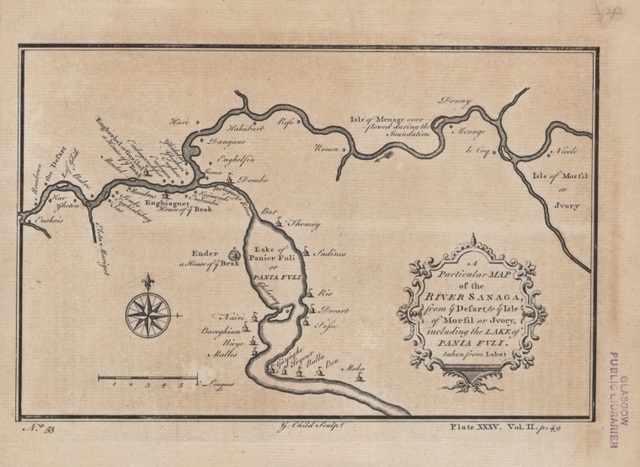 A Map of Carolana and of the River Meschacebe &c.
The seat of war on the Rhine being a new map of the course of that river from Strasbourgh to Bonn with the adjacent countries. 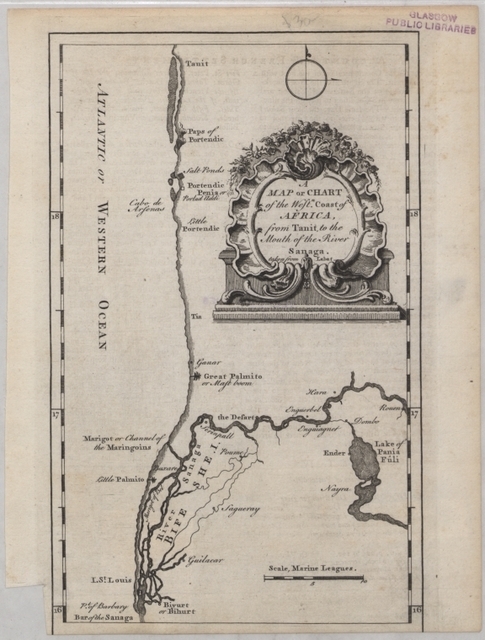 A map of Kalabar River [commonly called Kalabar or Rio Real], and the adjacent coast. 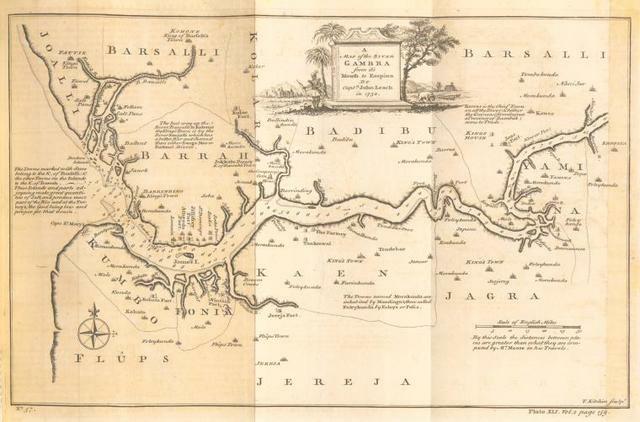 A map of the River Gambra from its mouth to Eropina. 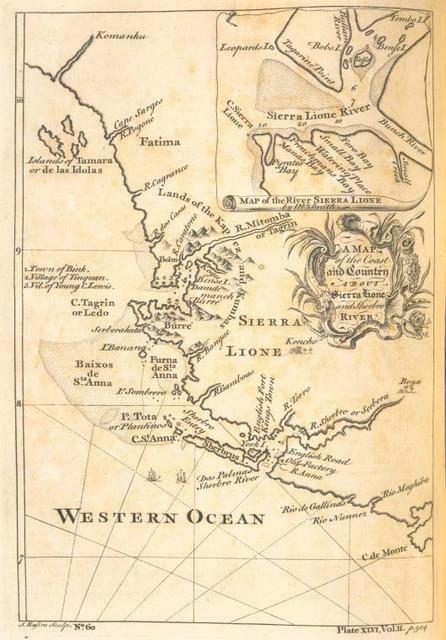 A map of the coast and country about Sierra Lione and Sherbro [or Serbera] River; Map of the River Sierra Lione. 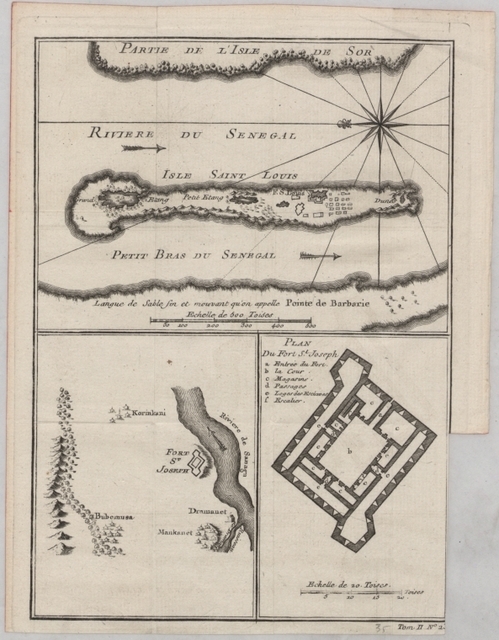 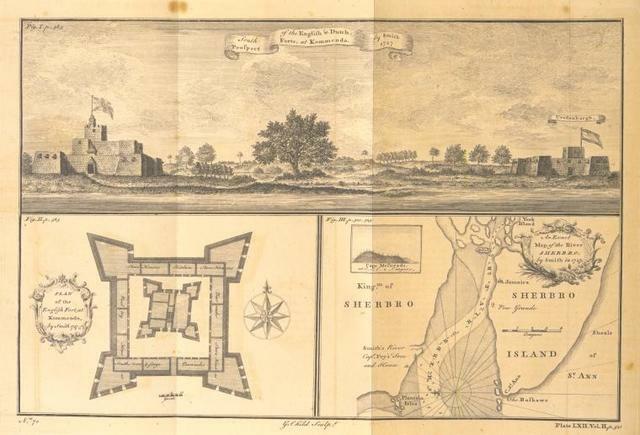 A general map of the River Sanaga, from the falls of Govina to the ocean; Plan of Fort St. Joseph; Country about Fort St. Joseph in Galam; Map of the entrance of the Sanaga; Island of Sanaga or St. Louis. 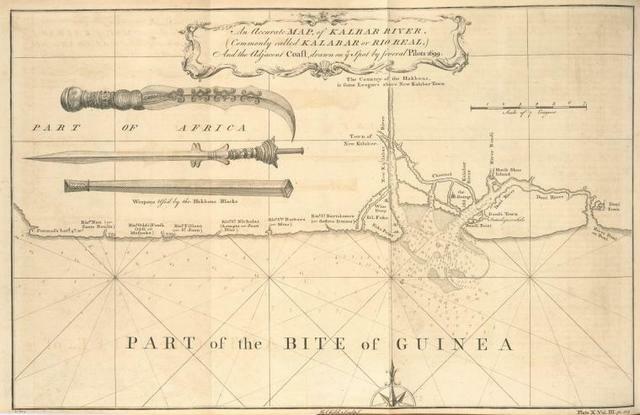 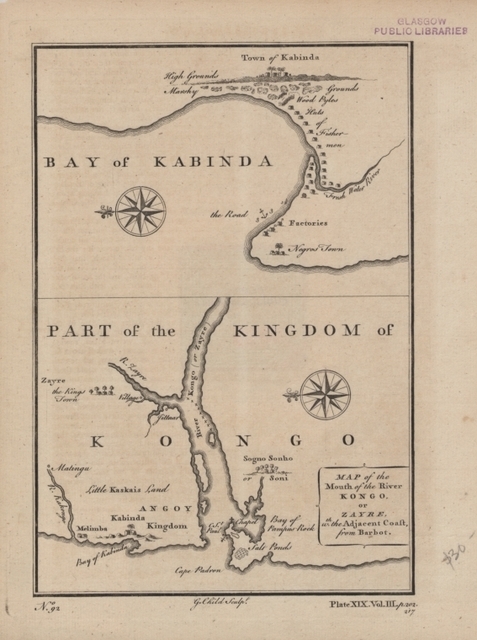 A map of the mouth of the River Kongo, or Zayre with the adjacent coast; Bay of Kabinda. 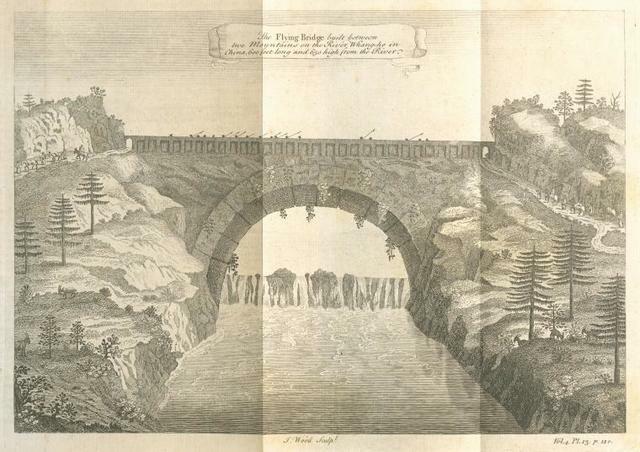 The flying bridge built between two mountains on the River Whang-ho in China, 600 feet long and 650 high from the River. 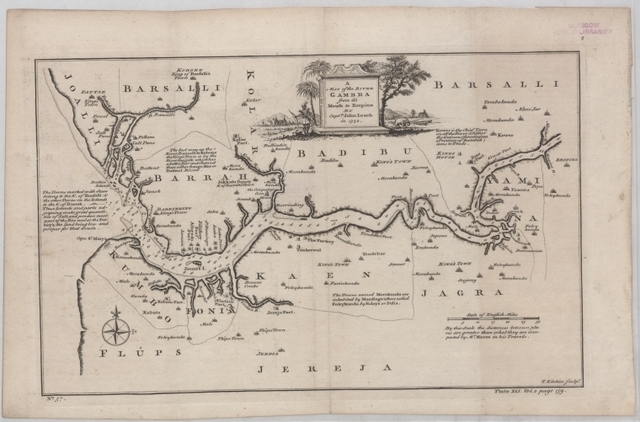 Map of part of the windward coast of Guinea, and of the Malaghetta, or Grain Cost; Map of Sestro River. 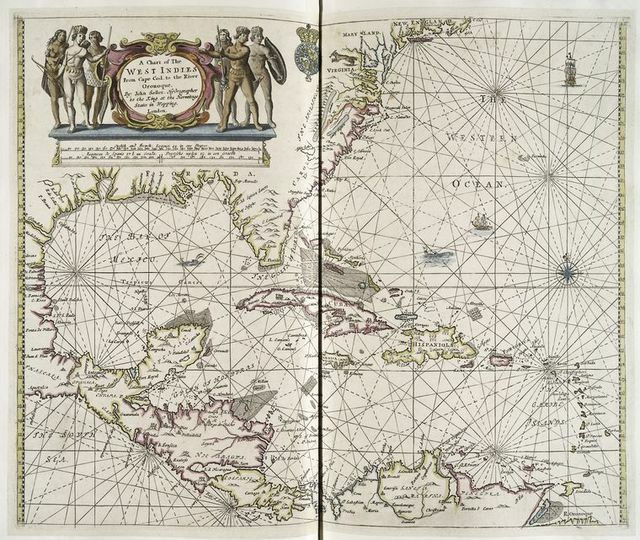 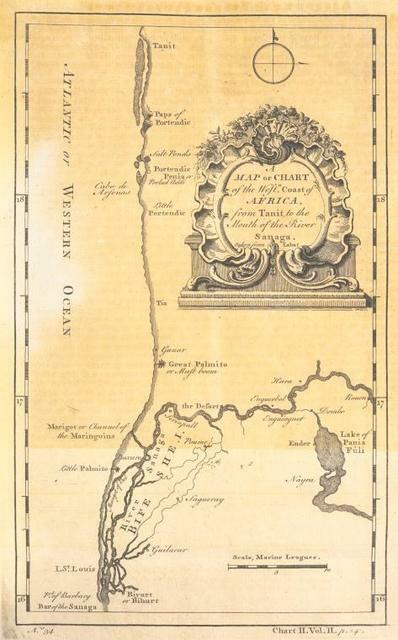 A map or chart of the western coast of Africa, from Tanit, to the mouth of the River Sanaga. 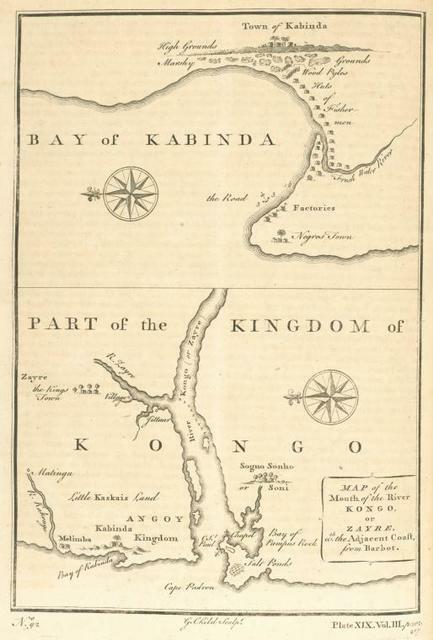 Hu-kew-hyen, or Kyew on the River Kyang. 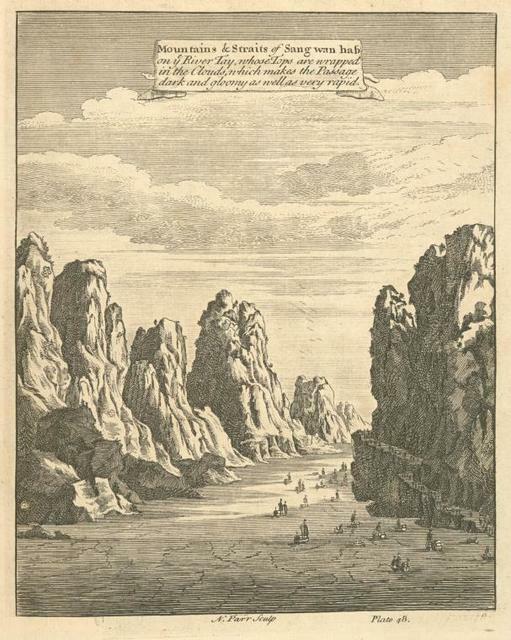 Mountains & straits of Sang-wan-hab on the River Tay. 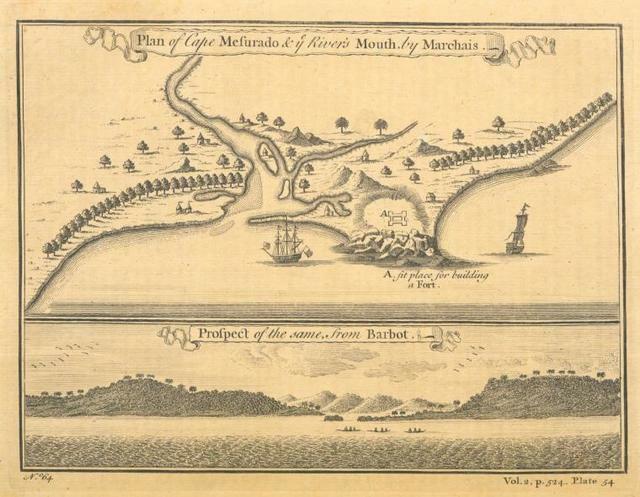 Plan [and prospect] of Cape Mesurado & the river's mouth. 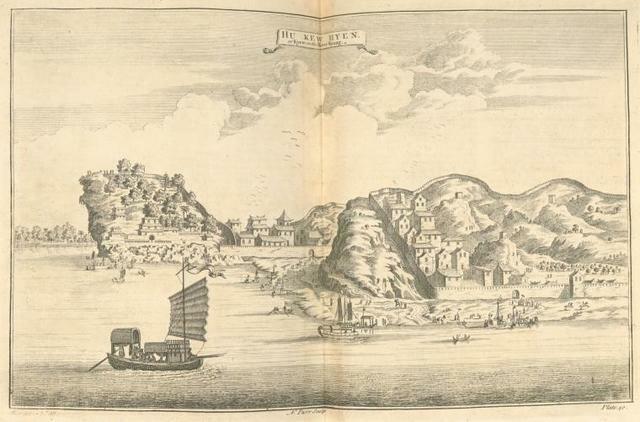 Nan-yang, a Chinese city on the River Kyang. 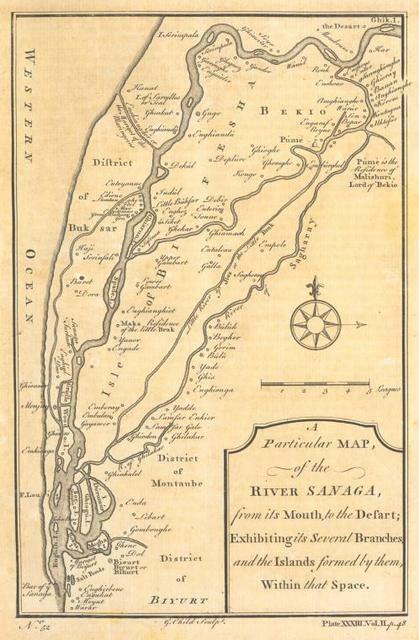 A particular map of the River Sanaga, from its mouth to the defart; exhibiting its several branches, and the islands formed by them within that space. 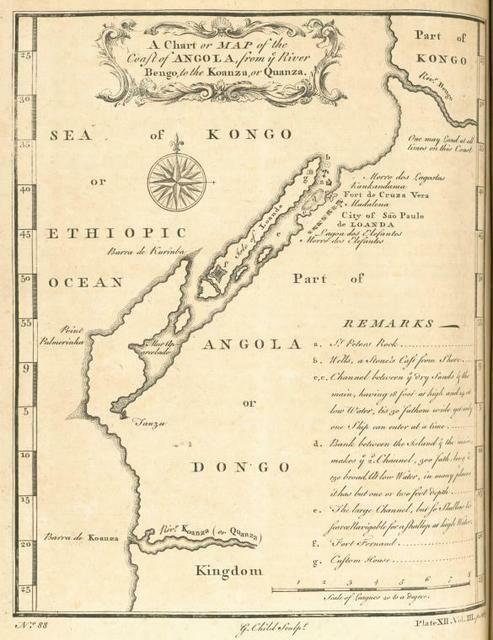 A chart or map of the coast of Angola, from the River Bengo, to the Koanza, or Quanza. 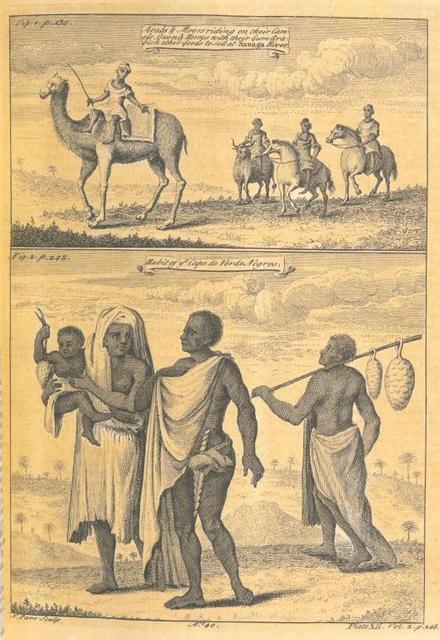 Arabs & Moors riding on their camels, oxen & horses with their Gum Arabic & other goods to sell at Sanaga River; Habit of the Cape de Verde Negroes. 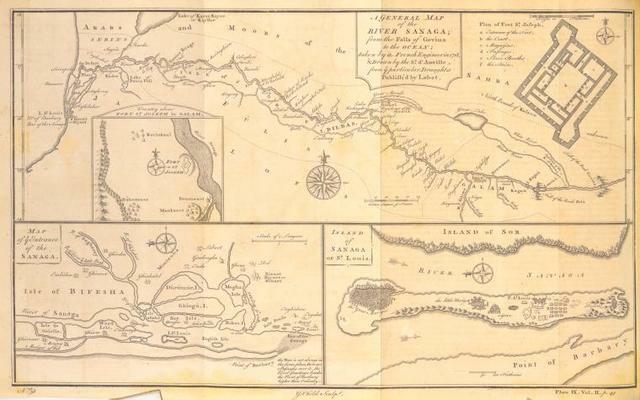 A particular map of the River Sanaga, from the defart to the Isle of Morfil of Ivory, including Lake of Pania Fuli. 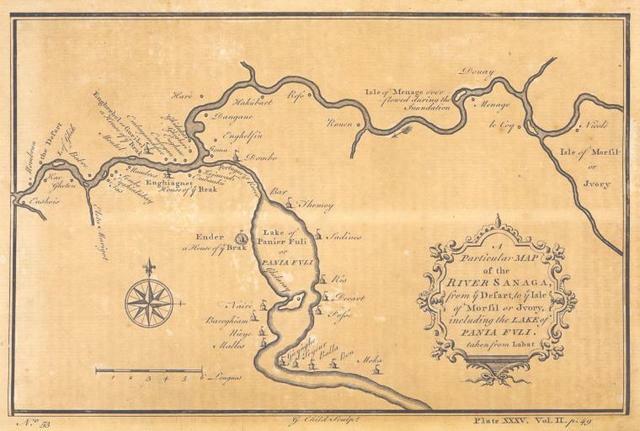 An accurate map of the English colonies in North America bordering on the River Ohio. 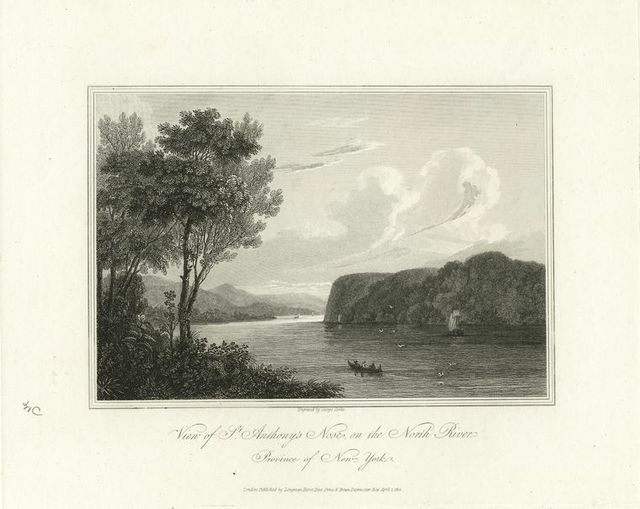 A view of Cape Rouge or Carouge, nine miles above the City of Quebec on the north shore of the River St. Laurence. 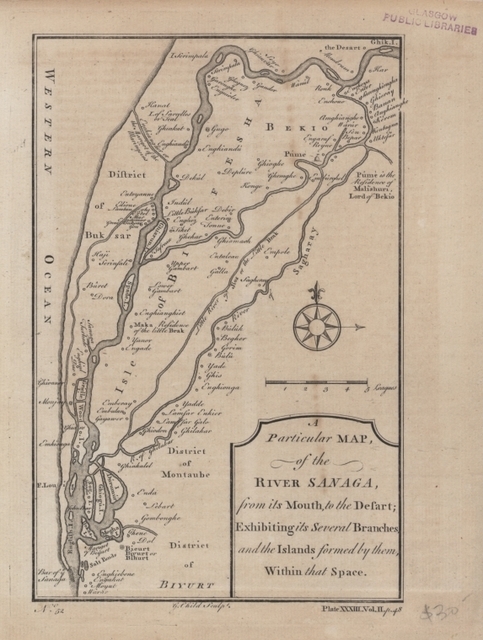 A view in Hudson's River of the entrance of what is called the Topan Sea. 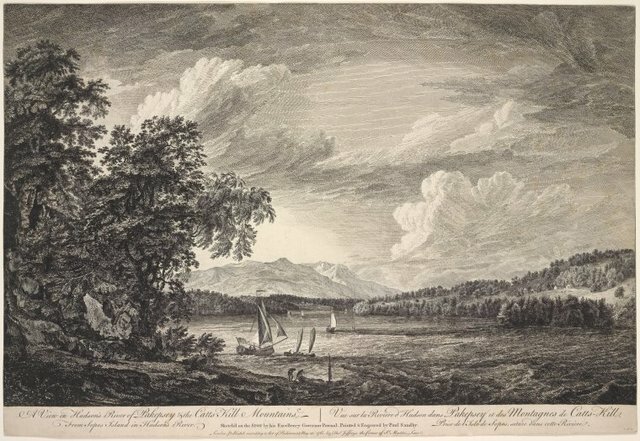 A view of the north west part of the City of Quebec, taken from St. Charles's River. 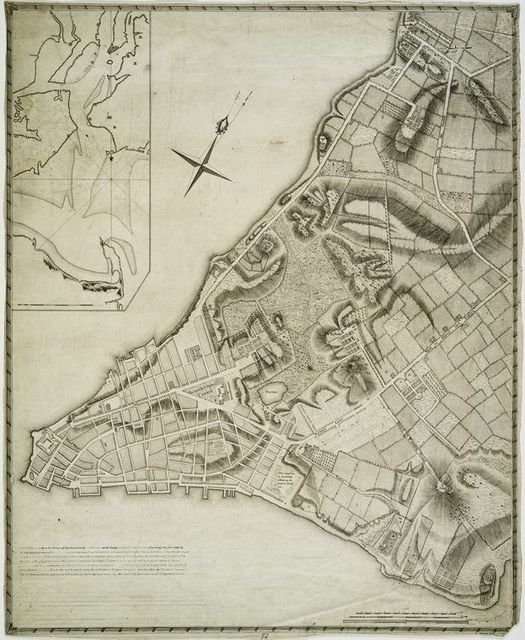 A plan of the city of New-York and its environs to Greenwich on the north or Hudsons River.